James Doyle is revved up by the prospect of riding Barney Roy in the Juddmonte International on a track he believes the Godolphin glory–seeker will love, writes Lee Mottershead. Richard Hannon has expressed the opinion his leading light could be heading into the York spectacular unbeaten, he having stumbled badly en route to finishing second in the 2,000 Guineas and then, in his only other defeat, losing out by a nose in the Eclipse after pulling hard and failing to appreciate Sandown's racing surface. 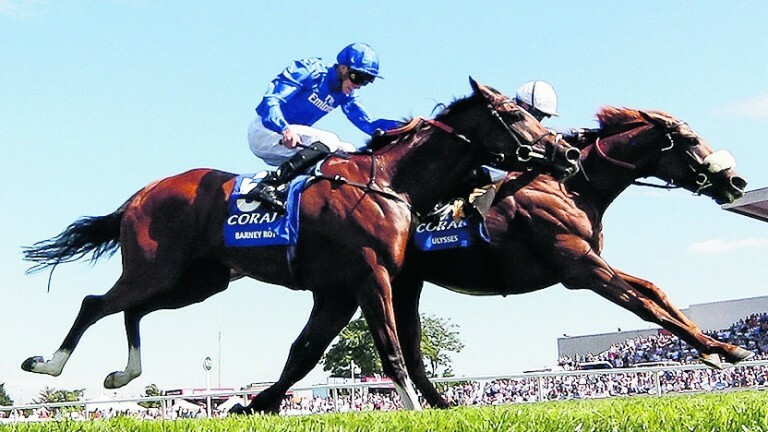 Compensation could come along with revenge on the Knavesmire, as the pair who defeated him in those races, Churchill (subsequently well beaten by Barney Roy at Royal Ascot) and Ulysses are in the International line-up. Doyle told Godolphin's website: "As a jockey you throw your leg across a variety of horses, all shapes and sizes, of different ability. When you strike an outstanding one such as Barney Roy, you count the days until you are back in the saddle, riding him again." Assessing the colt and his mission, Doyle added: "His most impressive attribute is his length of stride. The amount of ground he can cover in just one bound is enormous. That's why York's Knavesmire will play to his strengths. "When Barney Roy finished a close second to Ulysses at Sandown, he hit every ridge in the track wrong. The very nature of the Sandown course was a major concern before the race. The undulations make it hard for a young horse such as Barney to stretch out fully. "York is nice and flat. I believe he will love it." Despite winning two Classics, Churchill goes into the Juddmonte International Stakes with questions to answer on his first attempt beyond a mile and having performed poorly on his most recent start at Royal Ascot In June, writes Tony O'Hehir. Aidan O'Brien, who has sent out five winners of the race, is also represented by Cliffs Of Moher, the Derby runner-up who was in the wars in the Coral-Eclipse at Sandown in which he finished fourth. Dual 2,000 Guineas winner Churchill was pulled out of the Sussex Stakes because of the rain-softened ground, and this race was soon nominated as his next target. 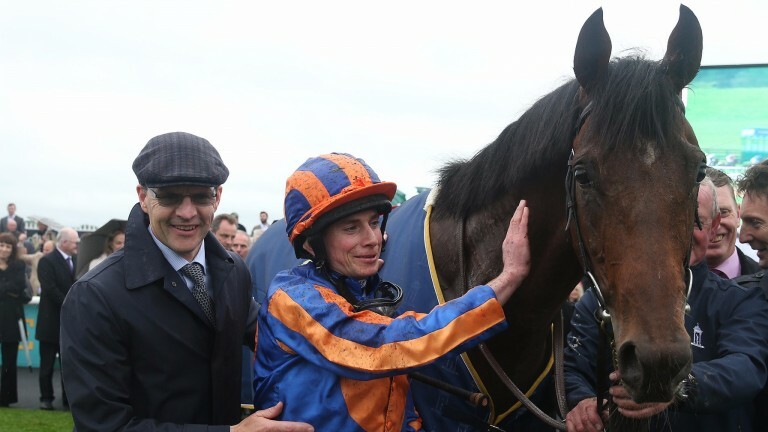 O'Brien said: "We were always going to try Churchill over a mile and a quarter. "We've put a line through his disappointing run in the St James's Palace. His preparation has gone well and he's in good form. We'd have liked to get another run into him but that wasn't possible after the ground went soft at Goodwood. "We'll have to see how he gets on over the distance, but we think he'll stay. "It's a different story with Cliffs Of Moher, as we know he gets the trip. He was very unlucky in the Eclipse, when he was badly hampered early in the race and did well in the circumstances to finish as close as he did. "We've been very happy with him at home and he's going there in good form." Champion jockey Jim Crowley has his first ride in the opening-day York feature on King George runner-up Ulysses, who would promote Sir Michael Stoute to all-time leading trainer in the race if successful, the Newmarket maestro having won it five times, writes David Milnes. Ulysses is out to arrest the recent form of Eclipse winners in the race, with the likes of Golden Horn and Mukhadram missing out in the past four years, but he looks the kind of 'bridle horse' who should be suited by a speed track like York. Ulysses showed his mettle over this kind of trip when just denying Barney Roy at Sandown in July, where he got first run on his younger rival. A fascinating rematch is on the cards and Ulysses subsequently showed a similar level of form when trying to give a stone to Enable in the King George VI and Queen Elizabeth Stakes in testing conditions. As solid as that effort was, not many have been second in the King George and won this – including the Stoute-trained Telescope, who was third to Australia on the Knavesmire in 2014. 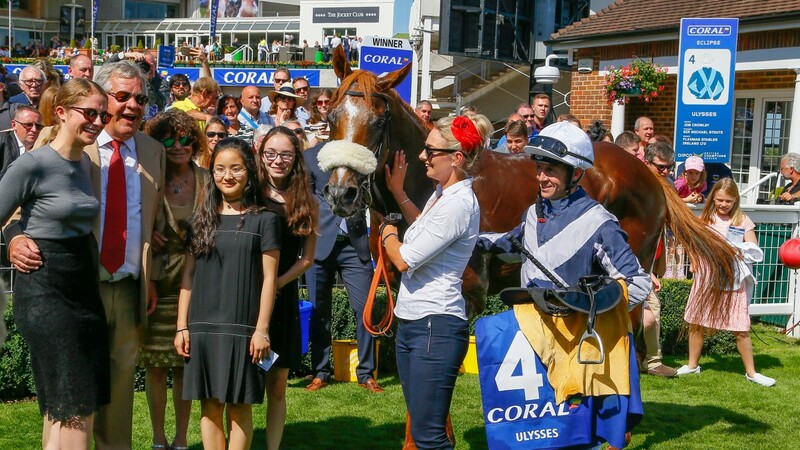 Alan Cooper, racing manager to the Niarchos family, owners of the four-year-old, said: "Ulysses is very well and the ground should suit him better than at Ascot, where he ran an honourable race in the circumstances. 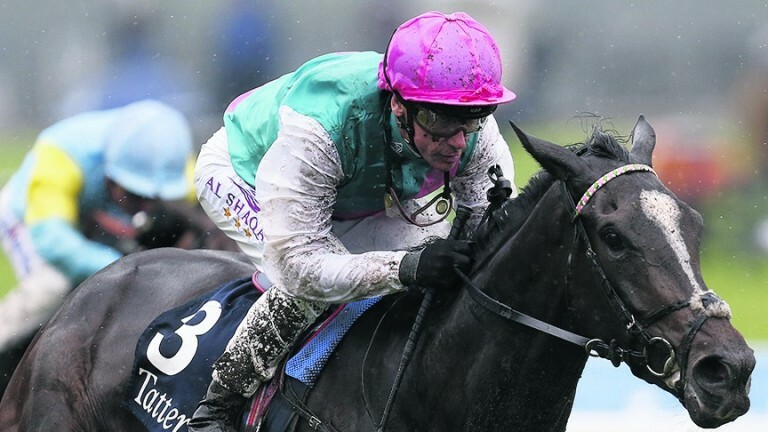 "He travels well, which you need to do at a track like York, and we're looking forward to it. We very much respect the opposition, with some top three-year-olds in there, and it's nice to have a runner in such a valuable Group 1." On dropping back in trip, he added: "The great thing about him is that he's so versatile; he can handle a mile and a quarter and a mile and a half equally well – and also different ground. Jim gets on well with him." The Juddmonte International is a 'win and you're in' race for the Breeders' Cup Turf, in which Ulysses was fourth last year and which is again a potential target this autumn. Shutter Speed provides the sole female interest in the seven-runner line-up, in which she represents the race sponsor and returns to the scene of her most significant success in the Group 3 Musidora Stakes in May, writes David Milnes. She has missed two engagements against her own gender on either side of the English Channel in recent weeks owing to soft ground, and connections are hoping any rain turns out to be light. Shutter Speed is overdue a run, having not been seen in public since finishing fourth in the French Oaks in June, when she may have used up her turn of foot a bit early from a wide draw, and jockey Frankie Dettori was suffering from an injured shoulder. Always held in high regard by trainer John Gosden, Shutter Speed is out to follow in the hoofprints of Arabian Queen, a female winner two years ago. Her trainer said: "Shutter Speed needs to run and this is Plan B after she missed a Group 1 at Deauville last weekend when the ground turned soft. "She's in good form and we know she likes the track. We just hope the showers they may get in the morning don't amount to much. If it stays fast she should be able to use her turn of foot, although so will the others. It looks a tough race, but she's in good shape." Decorated Knight, who represents Roger Charlton, finished in front of Ulysses when the pair were second and third behind Highland Reel in the Prince of Wales's Stakes at Royal Ascot, but he subsequently disappointed in the Eclipse. Charlton said: "He's tough and consistent and you can put a line through his run in the Eclipse as it was a very messy race. "As there's such a huge prize on offer this race has attracted the best middle-distance horses in Europe and he'll need to up his game by two or three lengths at least." My Dream Boat, trained by Clive Cox, completes the line-up and is back in trip for the first time since April in a bid to rekindle the form that helped him land the Prince of Wales's Stakes last year. Cox said: "We're running him in a first-time visor and I think he's fine running a mile and a quarter or a mile and a half."